When you wake up to the smell of freshly brewed coffee and the happy sound of your friends laughter you know you are going to have a good day. Welcome to Taurus Art Hostel! 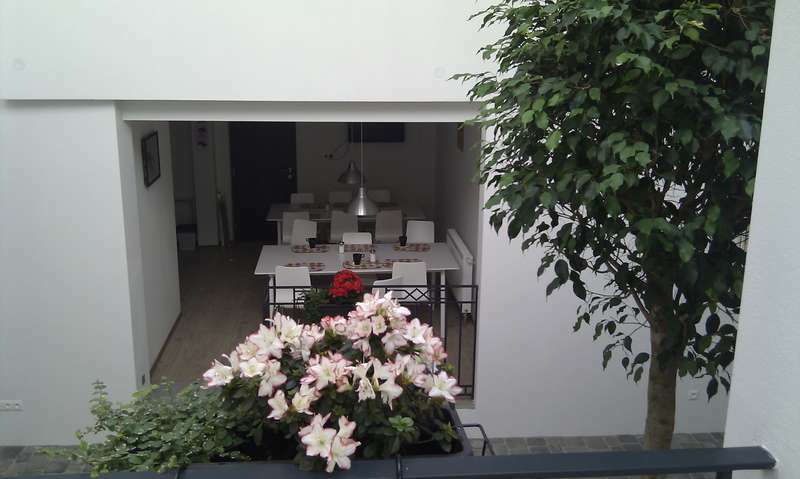 Just opened in May 2011, art-hostel Tauru is one of the most stylish hostels in East Europe. 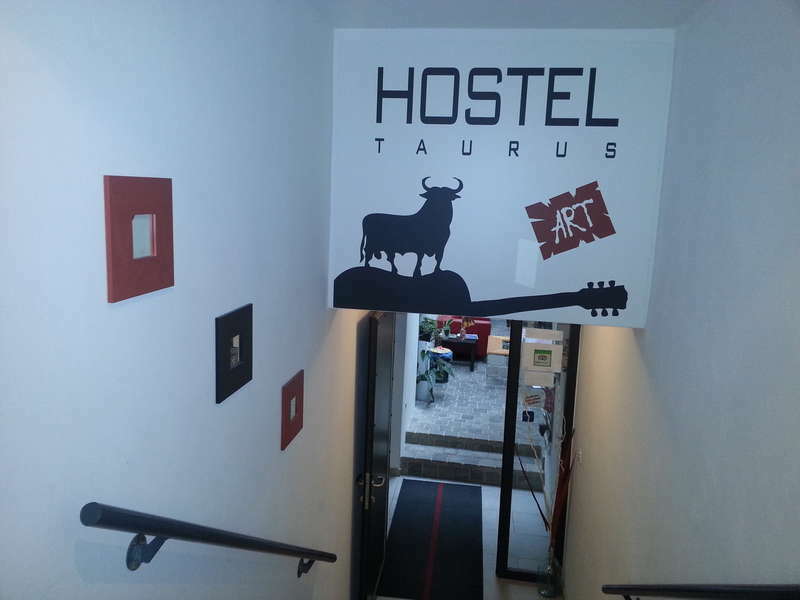 Taurus Art Hostel is situated directly above the Old Castle (Hrad), the heart of old Bratislava. Old city center is about a minute walk from Taurus. Art-hostel Taurus is a cozy place where you can stop for the night, have breakfast, get online on a high speed WiFi, meet new friends and have an impromptu live music jam. We have a stage and a number of musical instruments. You may make plans for a jam session at Taurus at our online forum. In the dining area we have a large screen LCD TV that you are welcome to watch anytime. In the dining area we have a large screen LCD TV that you are welcome to watch anytime. We also have a number of convenient places for reading and/or working around the hostel. We have only 8 rooms and a small concert hall/stage where a musician may become a spectator and vice versa. You can have jam sessions every day, if you want! FREE Breakfast, hairdryer, laundering, free computer for guests, free safe-locker, free iron, fridge, dishes and microwave, a cup of tea or coffee for free anytime, towels and shampoos for free. Entertainments: table football, darts, free books, electro guitar Yamaha, bass guitar Yamaha, electro drums Yamaha, headphones, microphone So what can be better? Take the bus number 93 and u have to get off the bus on the third stop called Zochova. After u get off go left up, u see Hotel Ibis, when u get close to it just turn right and continue on the way up. And after maybe 50 metres u will see our hostel Taurus. from the bus station take the trolleybus 208 or 206 and get off at HODZOVO NAMESTIE (4stops) there change for 203 or 207 and get off at Zamocka (3 stops) cross the street and walk down (the oppostite way of the castle ) and you will arrive to the hostel.